Alday™ 24 hour heavy duty office chairs, from Safco, were designed as an extensive use task chair rated for up to 500 lbs. The ample supportive cushioning in the seat and backrest deliver ergonomic shaping to fit a variety of body types while providing all day comfort. Finished Product Weight: 48.8 lbs. 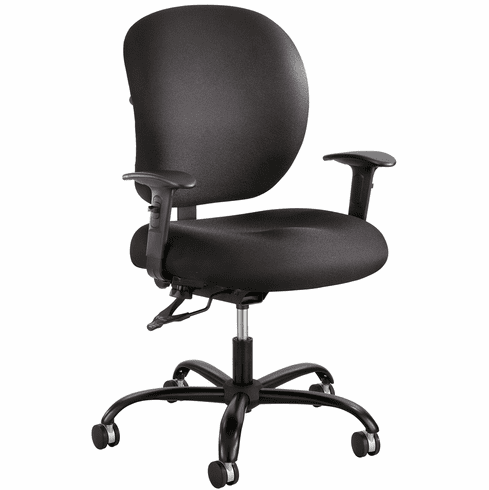 Overall Height: 35 ½ to 38"
These extra supportive office chairs normally ship within 2-3 business days.